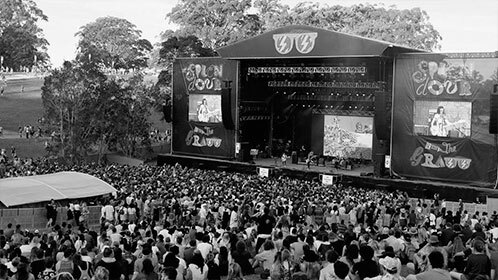 Splendour in the Grass is an internationally renowned music festival held in Northern NSW featuring some of the world’s biggest artists over its 18-year history. The event site is open to the public for five days with the main event days hosting 35 000 people with a large majority camping on-site. Jeremy will run through how Splendour manages the multiple construction, production and theming elements that run on site simultaneously, how they manage the multiple suppliers to maintain their WHS and safety, along with scenarios / challenges they encounter on-ground and the techniques / processes they utilise to realise their event build. Jeremy will also detail the camping elements that make this more like a temporary town with a population of 35 000 people, more than just a music festival. What does it take to build an event site of this nature – when does planning begin and end? What is the system for engaging and managing suppliers on site? How does Splendour monitor suppliers and ensure they are carrying out work to their standard? What are the challenges with suppliers? What have been instances where there have been issues with suppliers? How were these issues resolved? What has Splendour learnt over the years from the bump in; how to bump in / out more efficiently, upgrades in systems, time saving mechanisms and safer working methodology? What are the challenges with running the site during the event and how are these challenges overcome?